← Are you being safe today? Phil: Last week, Candice and I sat down and talked out way through one of the main chapters in Book 2. When we started, it was nothing more than a single line in the plan. Allocated to me, I’d a fairly simple outline in my head where I set up the story with a quick tour for our heroes. An hour and some cake later, we both had several pages of notes and the single line expanded to a multi-layered chunk of story with an awful lot happening – a million miles away from the realitcly simple chunk of text I’d expected to churn out. Buzzing with ideas, Candice has already written a couple of pieces where she abuses our characters a bit. My job is to weave these in to the main set-up text I’m supposed to be working on. The one chapter set-up now looks more like three with many subtle twists and turns along the way. It’s a lot better than the initial idea. Trouble is, I’m also buzzing with ideas and here’s the frustration – I can’t get the ideas out of my head fast enough. There’s loads going on in my brain and now I need to get them on to the page. 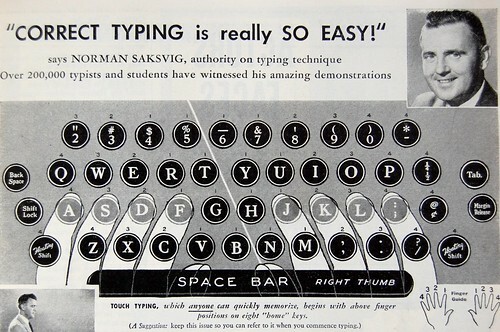 Years ago, I learned to touch type but never progressed to the stage where it was faster than my two fingers and thumb (for the space bar – get me) technique. Even if I did, I still couldn’t keep up and find the letters tripping over each other as I try to put them in some sort of order. One day there will be a faster way. A Johnny Mnemonic plug in system where ideas can flow straight in to the computer perhaps. Or we’ll get rich enough to employ a bank of assistants who can take dictation.